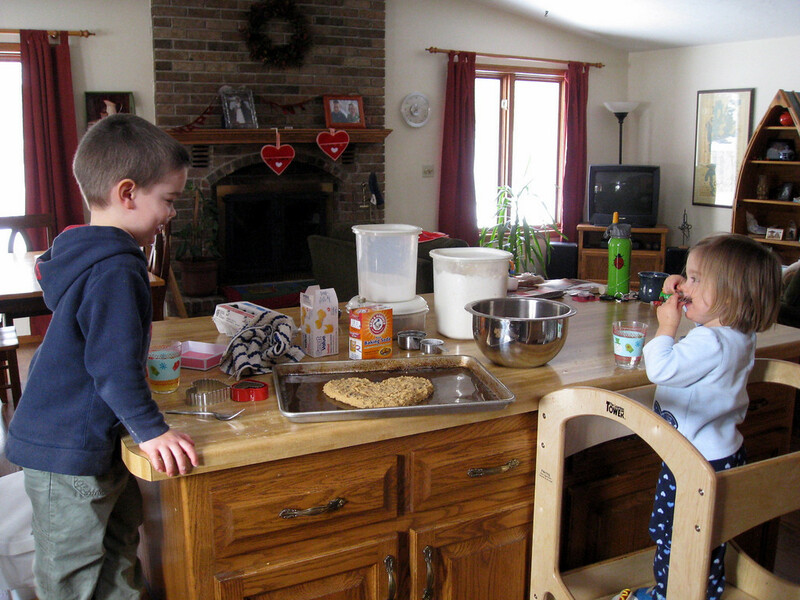 This year for Valentine’s Day I couldn’t get the kids excited to make valentine cards, but they were very excited to make Valentine food items. We started off making a half batch of chocolate chip cookie dough. A half batch because there was only half a bag of chocolate chips. 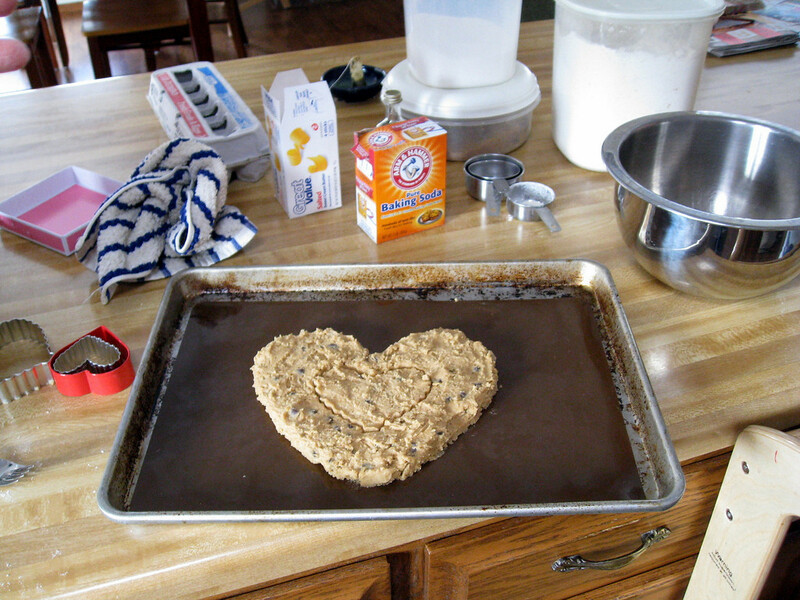 Jack said we should make one HUGE cookie, so we made one big heart shape. The kids were my “dumper guys” and Jack cracked the eggs for me, which is his new favorite thing to do. They had a lot of fun squishing the dough into a heart shape. We also made a batch of sugar cookies and the kids cut those into heart shapes. For lunch we had grilled cheese sandwiches we cut into heart shapes. Those heart shaped cookie cutters were a great investment!